Fear not! That is all about to change. 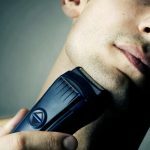 By the time you are finished reading this article, you will no longer have to shift awkwardly from foot to foot when somebody with a smoother face than you mentions his various shaving accessories. 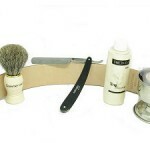 So What Is A Razor Strop? 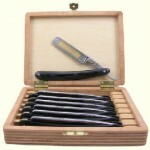 A straight razor is designed to last for life, but it will not stay sharp for life. 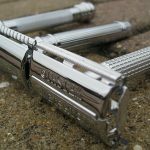 You need to keep it in good condition and keep the blade edge clean. 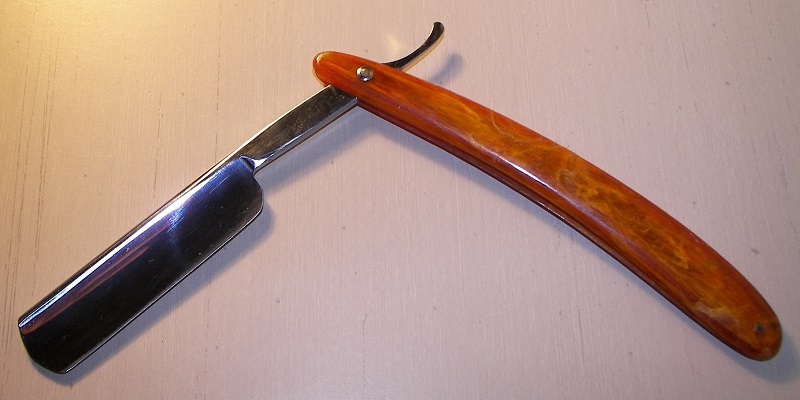 A strop is used daily after (and sometimes before) every shave, to maintain the blade. 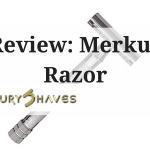 It’s not as full-on as a razor hone or sharpening stone, which is only needed once or twice a year, but it IS essential if you want to keep a razor sharp. 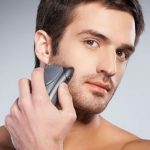 Imagine trying to shave with a blunt razor, that would be pretty pointless. 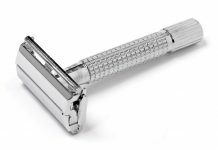 I guess it would be something like shaving with a Mach 3 that has been used more than twice (Yeah..I’m not a fan of disposable blades). 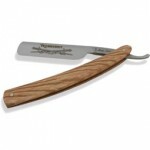 By running a razor up and down a strop 15-20 times first, you have yourself a nice juicy blade. Check out this tutorial video to see what I mean. They are pretty inexpensive and depending on the quality can cost anywhere from $10 to $50. If you are planning on buying one and have not used one before, I would recommend buying a couple of $10-20 strops as you may end up slashing one with the blade while you are learning. The video I linked above will help you avoid doing that, but it’s always best to make sure. The only real quality difference you will be faced with is type of leather, and size/width of strop. A wider strop means you can do simple up and down motions, while a narrower strop will involve a bit of a diagonal movement to make sure the whole blade gets sharpened. 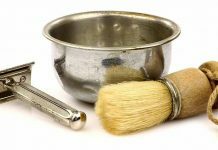 Is It Difficult To Strop A Blade? It’s not so much difficult as it is a knack. 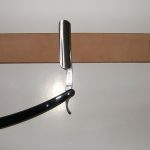 Like almost everything in the straight razor world, learning to use a strop just takes practice. 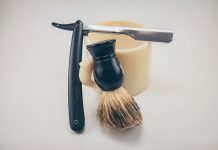 There are also varying opinions about the correct way of holding a blade while stropping, but as you will see from the video, it is much more important to hold it in a way that will not cause you discomfort or cause the blade to slip. There’s “the right way” and there’s “what works for you”. I always recommend the latter. 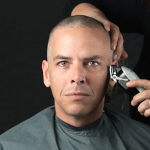 The same goes for the actual shaving. 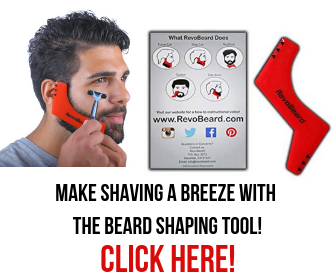 For a more full-length instructional video, click here.